We’re often telling our guests about the wide array of activities that you can do here on the Island, come rain or come shine. With our prime location, and our knowledge of all the best things to see and do, we’ve been able to pull together a definitive list of things to do whilst staying with us. From glorious coastal walks, lazy sunbathes on the beach or some monkeying around at the Monkey Sanctuary, there really is something to suit everyone - whether on a couples’ getaway, a retirement break or a family holiday. 1. A stroll along Shanklin Esplanade. 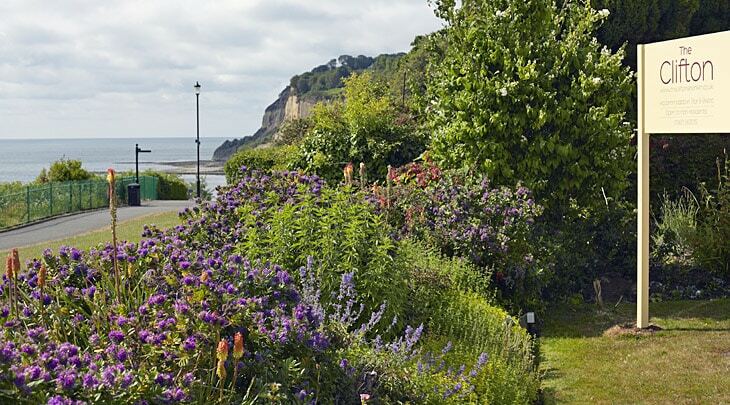 A seaside stroll is really all you’ll need to experience the Isle of Wight in its truest form. Ensure that you stop by the gorgeous Shanklin Chine and explore its wildlife, rare plants and beautiful waterfalls – or head by at night to see it illuminated, and finish your stroll with a round of 18-hole pirate themed crazy golf sure to bring delight to the whole family. The Isle of Wight is filled to the brim with boutique, independent shops that are the perfect place to get unique wares away from the usual high street shops and chain stores. From chic homeware and antiques, clothing and fashion, through to crafty gifts and souvenirs there’s bound to be something in one of the independent shops littered around the Island that will house that hidden gem that you’ve been searching for! 3. The Isle of Wight Zoo. The Isle of Wight zoo specialises in big cats and lemurs. Home to lions, tigers, penguins and hundreds more exotic animals – the Isle of Wight Zoo is the perfect day out for those looking to take part in a Walking Safari, a Meerkat Meet or even a Wildlife Photography crash-course. 4. Get a Birdseye view of the Island with Goodleaf Tree Climbing. If you’re staying with us, or simply popping in for a bite to eat in our bistro, and would like to know where to head next on your holiday let us know! Our knowledgeable staff will be happy to help you make the most of all that the Island has to offer.